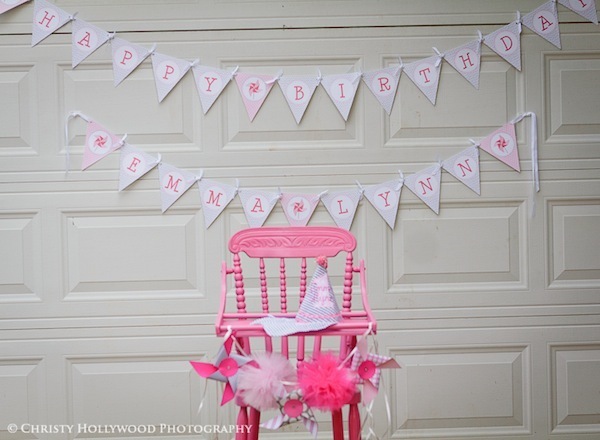 Today's Pinwheels and Pom Poms First Birthday is submitted by Christy Hollywood Photography and showcases a darling Greenville, SC event to celebrate little Emma Lynn's special day. I love all of the DIY and handcrafted projects that Emma Lynn's mom incorporated into this party - especially the gorgeous Pom Pom wreath featured on the front door. Each area of the house and yard had something fun, creative and PINK! 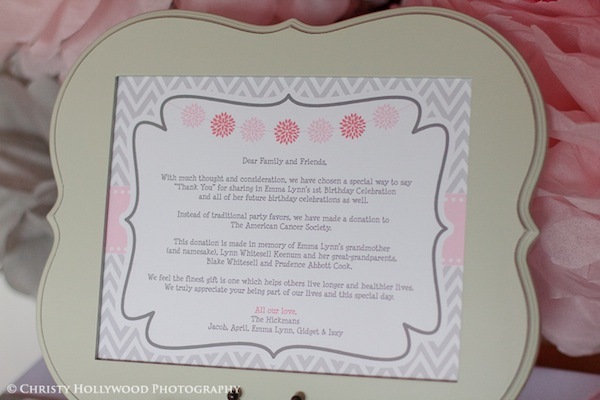 I love this little spot in the backyard that was set up as a photo booth - SO sweet!